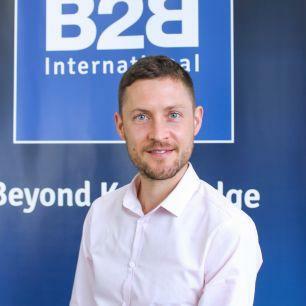 As a Senior Research Manager at B2B International I act as the main point of contact with our clients. I’m involved in all stages of a project from the initial proposal, to project design, analysis, reporting and delivering presentations. Being able to work with world-leading B2B companies on their most challenging issues, ultimately helping them to grow. Keep an open mind and always consider multiple points of view. Laos – because of the peacefulness and natural beauty. I recently enjoyed The White Tiger by Aravind Adiga – it gives a fascinating insight into modern India. I enjoy keeping fit and getting out into the countryside.